Choose the category to which the content will be added. 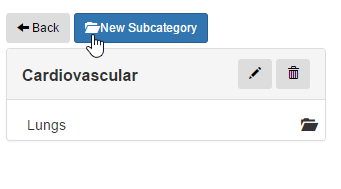 Select a name that describes the content being added. If the user chooses to make the content public, the URL of the content can be shared and viewed by other users of FTI. If the user chooses to keep the content private, it can only be viewed by the author. If the user selects “yes”, a list of organizations the user belongs to are displayed and the user is then able to choose the organizations to share the information with. For example, if the user belongs to an organization called “Dean Clinic General Practice Physicians”, the content would likely be something that all members would benefit from. Files such as images or PDFs that relate to the content can be uploaded and attached. These are the actual notes the user has on a certain topic. 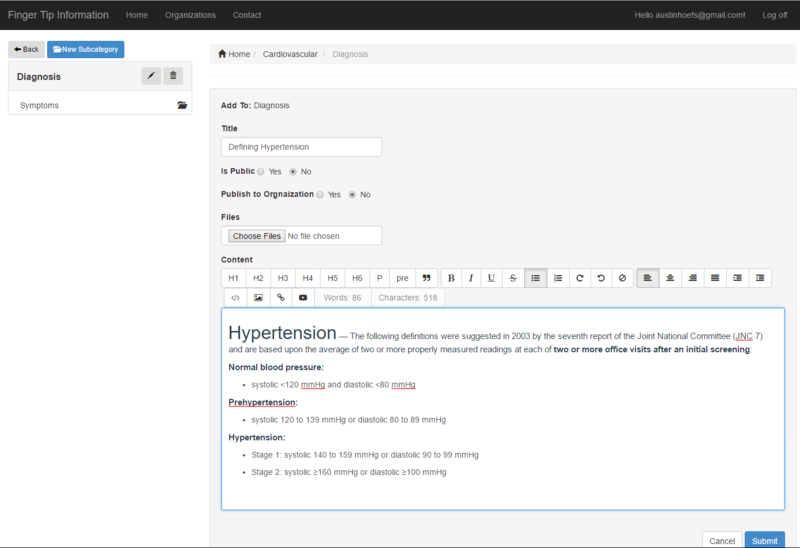 The editor feature saves formatting so notes can be copied and sourced from webpages or Microsoft Word documents. Once content is added, the user can then easily locate and pull up that content when it is needed, or new content can be added by clicking the “New Content” button. 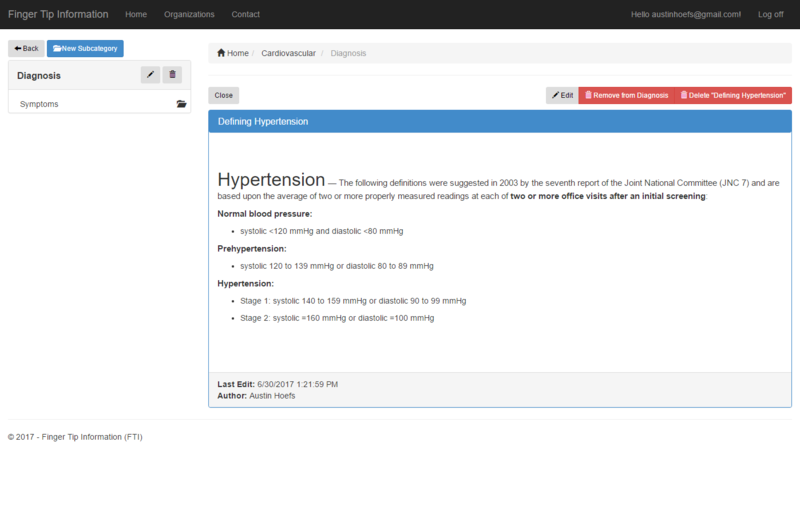 Organizations allow users to quickly share relevant information with colleagues. For example, if the content added above was published to an organization, other members of the same organization would then be able to see that content on their My FTI (formerly home) screen. If they decide the content was irrelevant to them, they can dismiss it and they will no longer see the content on their My FTI screen. 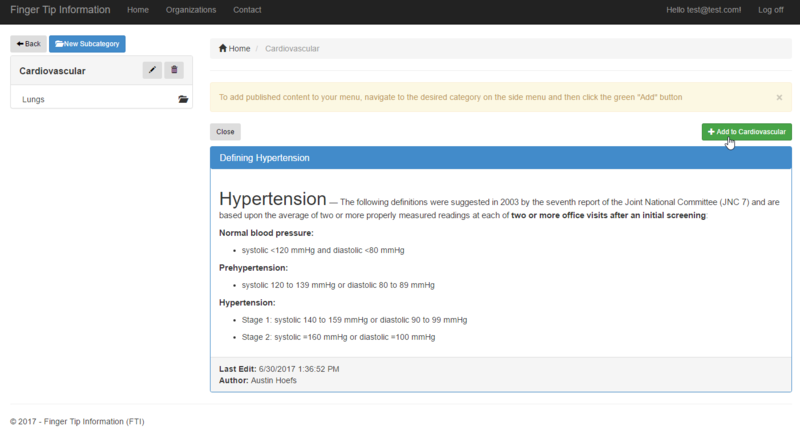 If the information is relevant to their practice, they can click “View” to see the content. 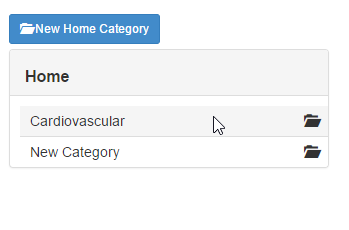 Subsequently, if they decide they would like to add the content to their own FTI, they can then create and use the categorical structure that the original author suggested (My FTI/Cardiovascular/Diagnosis) or use their own structure by navigating to their desired category and clicking “Add to [category]”.